Architectural and resolutely modern, the Renaissance Fir Tree goes against the grain of the classic skeleton watch. A contemporary interpretation of Art Nouveau, its mechanism has been sculpted in the style sapin or "fir tree" style that is particular to Switzerland, with roots in the regional and traditional values of the watchmaker's art. This graceful composition boasts superlative finishing, with hand-chamfering. 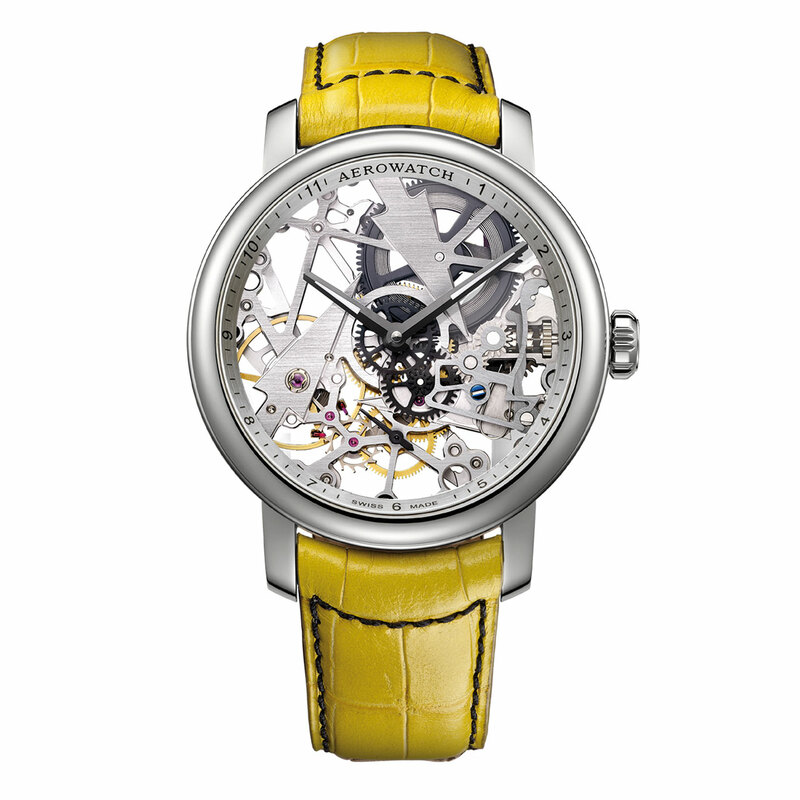 A vivacious yellow leather strap completes the look to perfection.